This is my go-to meal when I’m at work, and because Bonfire has a kitchen I can make it fresh! I’m usually roped in to making 2 serves so my Mum can have some as well though! * This is the most delicious cheese! It’s now available in most Woolworths stores. 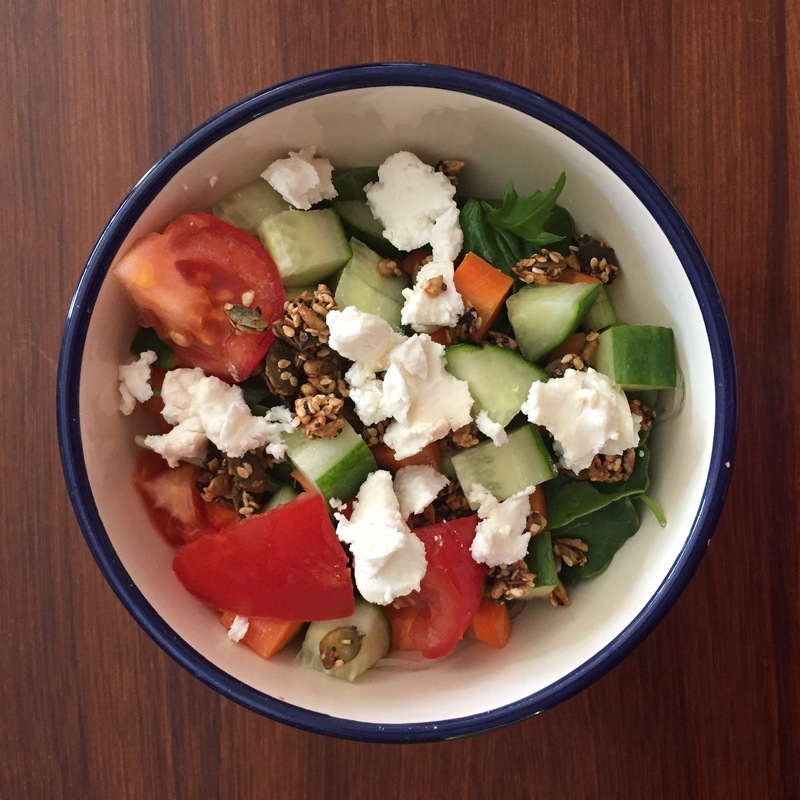 If you’re not keen, fetta cheese tastes delicious in this salad too!